I feel as though I need to explain myself a bit. When coming up with topics here at The Prudent Groove, I need a touch of inspiration. Since I have over 2600 albums to choose from, the number of options gets to be daunting and ultimately discouraging. In other words, I need to be moved in order to write about something. So last night I’m at the grocery store, right? I see a sale on individually wrapped cheese sticks, 3 for $0.99. Decent price, ok, cool. 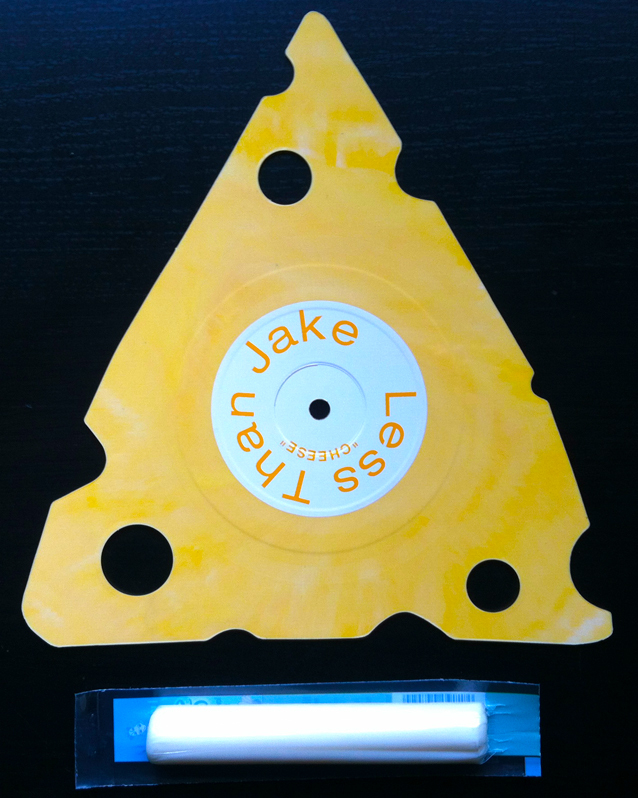 Instantly, the hamster inside my head begins to churn, “Well, each stick is roughly $0.33 1/3 cents… Cheese… 33 1/3 RPMs… I SHOULD WRITE ABOUT LESS THAN JAKE’S CHEESE RECORD!” And with that thought, this post was born. The music is straightforward Ska-Punk-Pop that LTJ is known for. Rage, then break for horns… Rage, then break for horns… End. It sounded better when I was 19. It’s interesting how certain bands spawn specific memories, be it however mundane or insignificant. For me, Twisted Sister has always been linked to the Hollywood Video in Milwaukee where I used to work. On one of my shifts, Mark Metcalf (The Maestro on Seinfeld) came in to rent a video and even though I had to look up his name, I distinctly recognized him as the pissed off, music hating father from the We’re Not Gonna Take It video. I think that song, this record, and video renting in general will always be intertwined within the vast, vacant openness that is my brain. What does that have to do with Less Than Jake? Absolutely nothing, and I’m fine with that. “We’re not gonna take it!” You’re not gonna’ take it?! Really? You’re not gonna’ take cheese?!!! Who wouldn’t take cheese? Are you lactose? This breaks a Wisconsin boy’s heart! 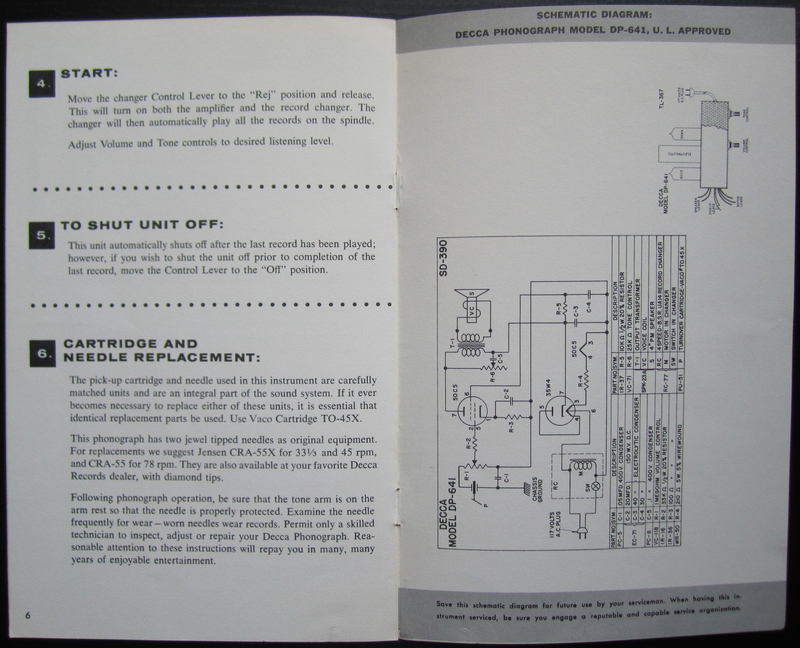 Notice the two types on the insert. 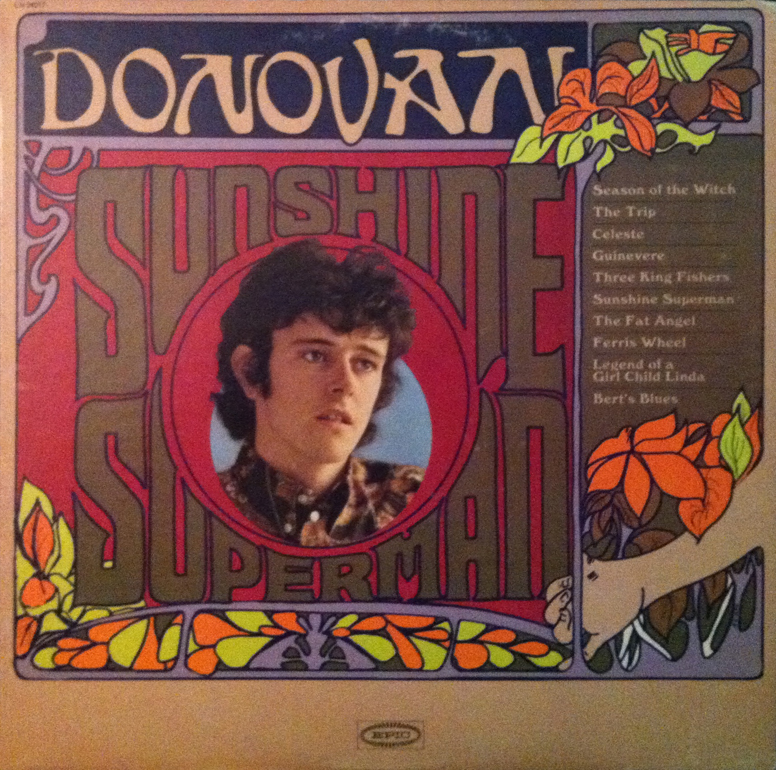 So, Donovan… Hurdy Gurdy Man, Sunshine Superman, Season of the Witch, Mellow Yellow, etc. THAT Donovan… You know the one… anyway so Donovan had a kid, right? Well, he had four kids, but one, KEY kid with American girlfriend, Enid Stulberger who they named Ione Skye Leitch, later to become known across American film screens as Ione Skye (remember Say Anything… ?). Ok, so, Ione Skye is Donovan’s daughter, with me so far? So, little Ione grew up, as kids do, and she became involved with Red Hot Chili Peppers’ front man, Anthony Kiedis shortly before… wait for it, marrying Adam Horovitz (Ad-Rock) of Beastie Boys fame. Ok, that makes sense. Beautiful jet-setting daughter of legendary songwriter gets involved with late 80’s bad boys… understandable… moving on. In 1992 (think Check Your Head) Ione marries Ad-Rock. That same year the Beastie Boys launch their own record label, Grand Royal Records. Pay attention because this is going to get crazy. 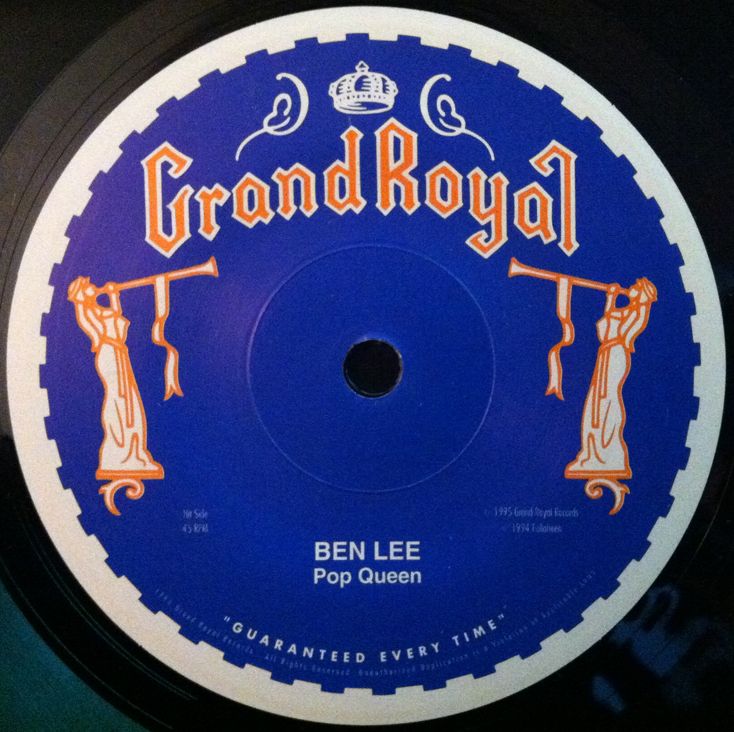 In 1994 Grand Royal signed Ben Lee (of Noise Addict notoriety). 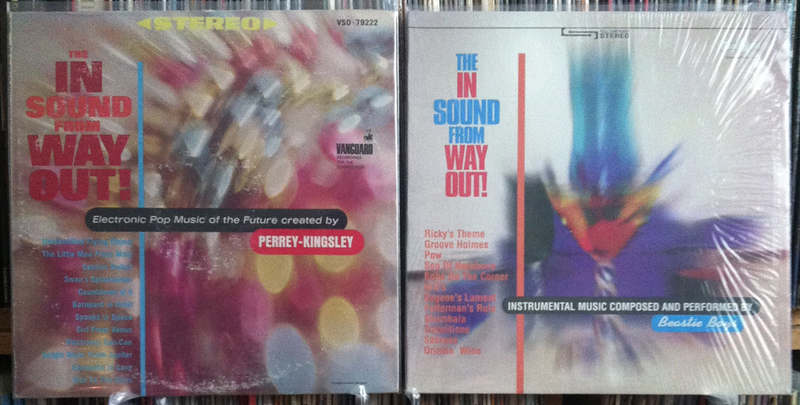 Ben had four releases on Grand Royal, Noise Addict with three. Cut to 2008… Grand Royal is defunct (seemingly bankrupt), Ione Skye and Adam Horovitz (Ad-Rock, KEEP UP!) are divorced and Ben Lee is set to wed Ione Skye… LESS THAN A YEAR LATER THEY HAVE A CHILD! This little bit of useless knowledge may be worthless to the layperson (eff them), but I swear, I about lost my $hit when I found this out. I can see Grand Royal reunions being a bit awkward these days, if in fact there ARE Grand Royal reunions. I imagine it to be one of those, “if a tree falls in the woods” type of things. If an Adam and an Ione and a Ben are in the same room together, do they talk to each other? This post has caused the elevator in my brain hotel to break down. It’s just as well. 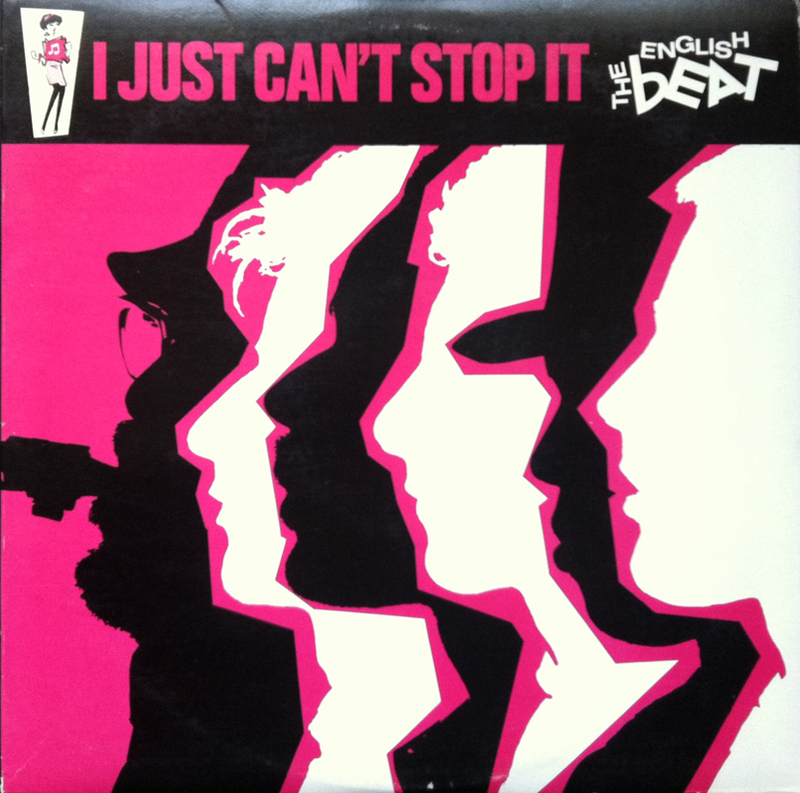 Why the works of The English Beat weren’t more prevalent during the Ska resurgence in the mid-to-late 90’s in rural Wisconsin is far beyond my feeble comprehension. With unknown bands like Skapone, The Skolars and The Parka Kings gaining constant play among me and my friends, the far superior talents of 6 early 80’s upbeat Ska professionals went ignorantly overlooked. Saxa, Andy Cox, David Steele, Everette Moreton, Ranking Roger and Dave Wakeling… I am forever sorry for the immature neglect I bestowed upon your great, but limited works. This album starts off with an atom bomb (or a whisky shot to your ear’s liver) with the now famous (thanks to its picture perfect usage in 1997’s Grosse Pointe Blank) Mirror in the Bathroom. Catchy, upbeat Ska that makes any listener want to skank like an adolescent fool, this track, and much of this, their first album, digs a deep groove of head-bobbing, jive-swaying bowl-full-of-happy-time moments that don’t seem to get old some 33 years after their initial release. Highlighted moments throughout this album will bounce around your head like a 22 caliber bullet. With the above mentioned Mirror in the Bathroom, Twist & Crawl and the side 1 ending, Click Click, I Just Can’t Stop It could easily work as the band’s greatest hits album save for the regrettably missing March of the Swivel Heads made famous for its use in the 1986 John Hughes classic, Ferris Bueller’s Day Off. Ska, as a whole, understandably, isn’t a genre for the masses. 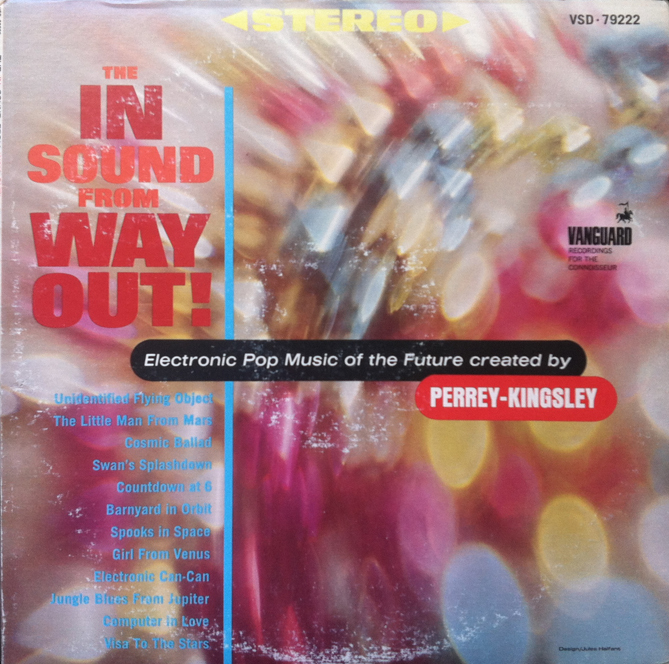 But I challenge any willing reader to embark on this creative milestone of positive grooves and NOT dig just about every Surf-Rock influenced, Rastafarian-vibe, bass-heavy, foot-tapping, good-ol’-fashioned-merry music found in this 1980 Sire Records release. Man, The English Beat make me wish I had a swimming pool to wade in and drink my pitcher of Mojitos. I’d settle for the kiddie pool in which we used to wash my Grandparent’s dog. There’s just something about this music that touches upon the “fun in the sun” pleasure spots. Do you know where your “fun in the sun” pleasure spots are? Go ahead. Touch them. You’ll thank me. This album is pretty tightly produced, and is overall pretty slick. It’s evident these guys practiced a few times before recording this album, which, makes sense if you think about it. The only criticism I would offer is that the majority of the songs sound alike. That can be a good and a bad thing. If you’re into strawberry ice cream with hot fudge and gummy bear sprinkles, then you’ll likely want all the strawberry ice cream with hot fudge and gummy bear sprinkles you can get. This album, not unlike strawberry ice cream with hot fudge and gummy bear sprinkles is a specific palate, but oh, boy, what a palate it is! 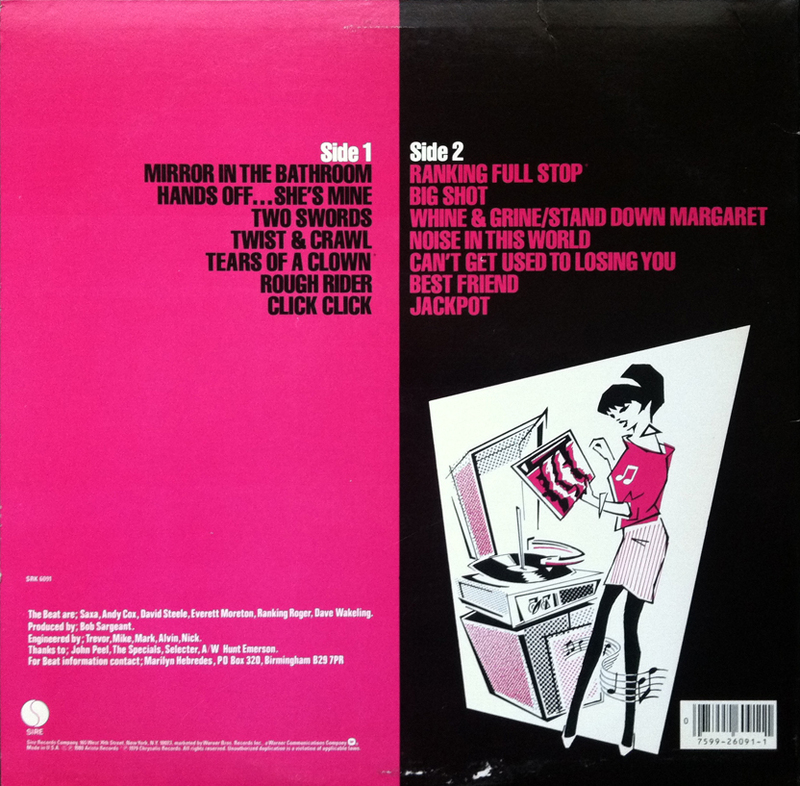 On the back cover is a picture of a short skirt-wearing chick holding an album while standing next to a New Age looking turntable. The album in her hands? Why, I Just Can’t Stop It, of course. She’s got a smile on her face, which implies that the music from this album will cause you to smile as well! Some subtle marketing can go a long way. So, ok, bottom line: GET THIS ALBUM! Although it is my first, this will NOT be my last post about Wax Trax! Records. Presented is an insert found in my 1989 copy of Front 242’s EP, Never Stop. This was Front 242’s last release on Wax Trax!, having released such groundbreaking albums on the label such as Geography (WAX 034), Face to Face (WAX 054) and Endless Riddance (WAX 004) among several others. My affection towards Front 242, and Wax Trax! specifically cannot be explained without consulting a professional shrink. That, I am, for now, okay with. So, in my research for this post (research which I almost never do), I discover a hidden corner of the interwebs called, ALF Wiki. I know, right? A fuggin’ ALF Wiki page. (Dammit I’m happy to live in the present!) Anyhoo, the good folks over at ALF Wiki offer some insight into this obscure release. In 1988, Burger King (with their old logo) had a promotion for a plush ALF doll, complete with chef’s hat and “Cookin’ with ALF” apron. The paper record, or flexi-disc (sorry if I’m dumbing it down for you) accompanied the plush doll and offered $3 off on up to five eligible ALF plush toys manufactured and distributed by Coleco Industries, Inc. (from 6/1/88 to 1/31/89). Apparently the offer was only good for the 18” ALF toy (Coleco item No. 6601) and, here’s the rub: mixing and matching of other Alf products was NOT allowed. NO MIXING AND MATCHING, KIDS! DO IT RIGHT OR NO ALF COOKING FOR YOU! I have to wonder how many people, after having just finished their delicious Whopper (with diabetic fries and diet Love Handles cola) ran to their local K-Mart (or Shopko) and bought five, 18” ALF dolls. That’s 7’ 6” of ALF, people! My guess is not too many, but I may be underestimating the popularity of the 18″ plush ALF market. 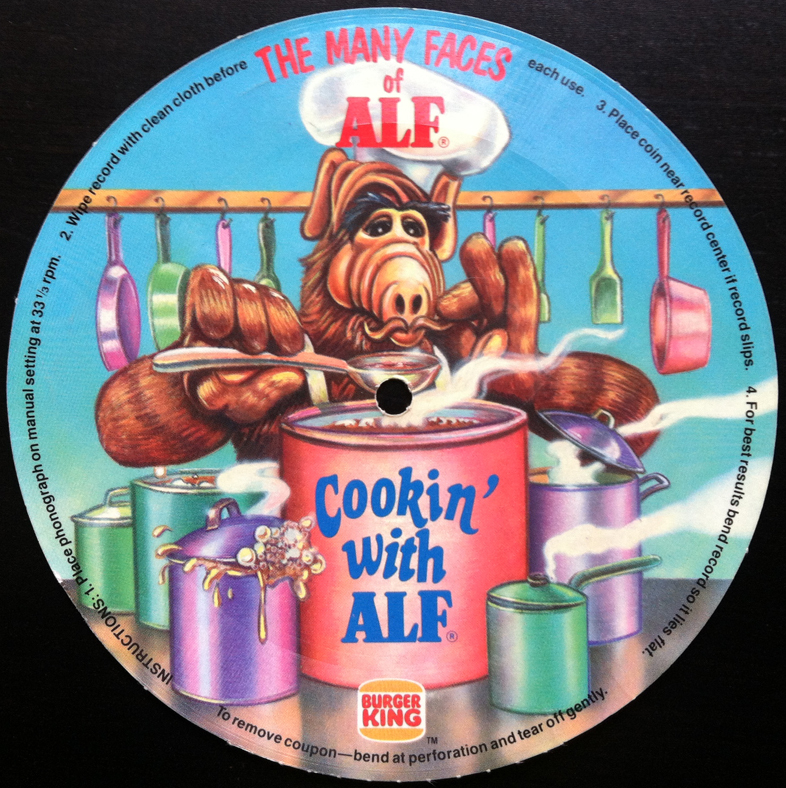 Cookin’ with ALF is described, in gory detail, by the informative, yet unplayable B-side. 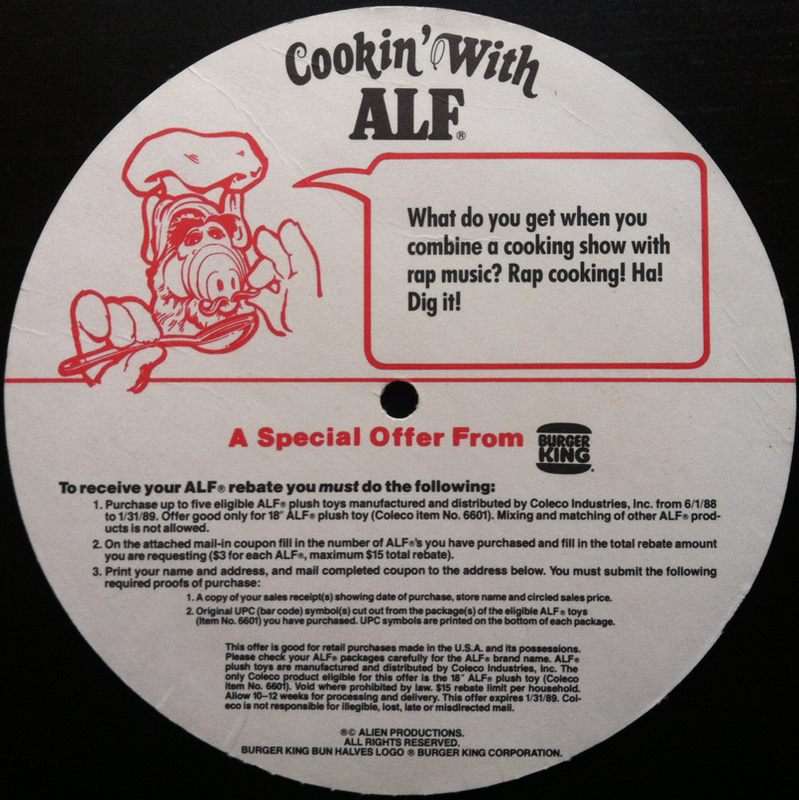 A balloon protruding from ALF’s mouth (nose, beak, whatever-the-fugg-it-is) reads, “What do you get when you combine a cooking show with rap music? Rap cooking! Ha! Dig it!” And since the “rap song” was offered by a “restaurant,“ the alien, technically isn’t wrong. So, with the term Rap cooking in mind, I invite you to indulge. I’VE NEVER HEARD SO MUCH BASS FROM A PIECE OF PAPER!! 1. 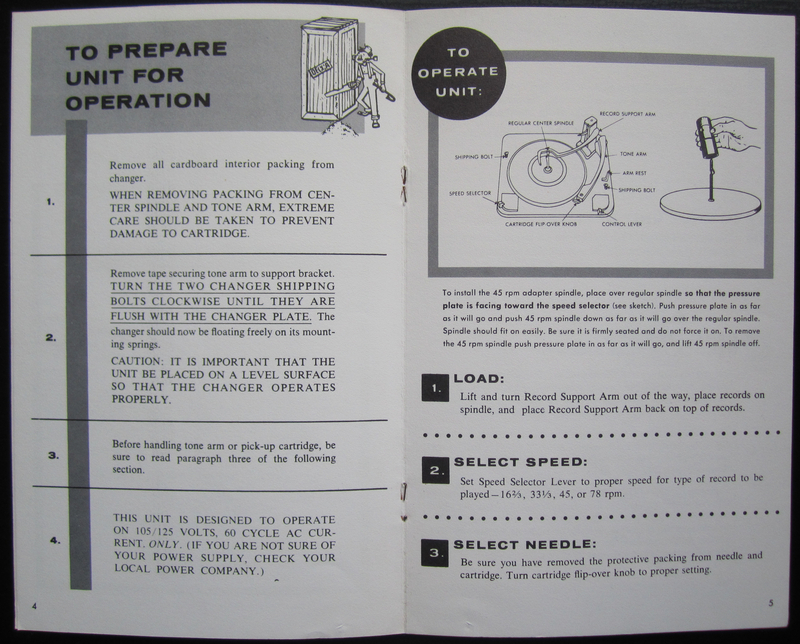 Place phonograph on manual setting at 33 1/3 rpm. 2. Wipe record with clean cloth before each use. 3. Place coin near record center if record slips. 4. For best results bend record so it lies flat. To remove coupon – bend at perforation and tear off gently. Thanks to Jason Hardwick, of FILLintheBLANK fame, for this record. 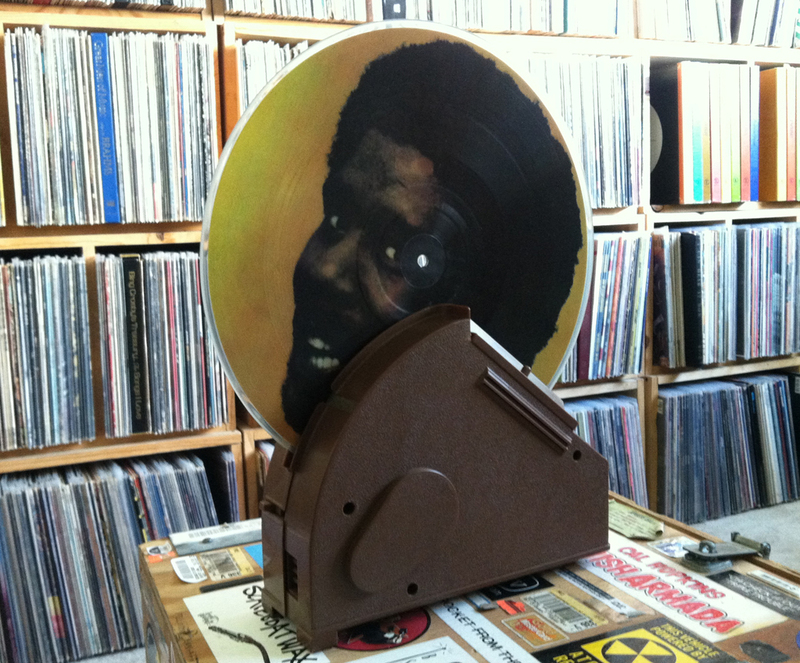 I’m in the market for a portable turntable, so if anybody has any suggestions please let me know. For said future turntable will be this companion piece, a brother-in-arms at 45 caliber, if you will (or if you won’t, it’s totes up to you). 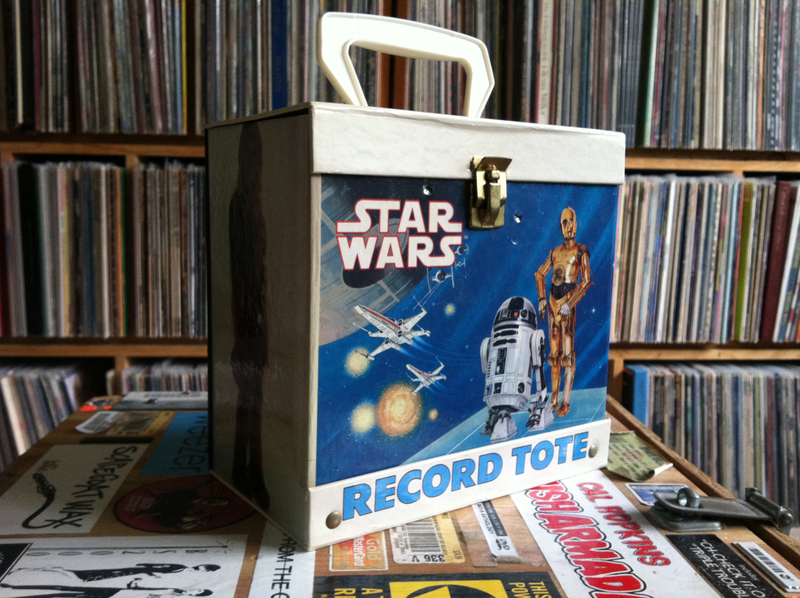 Perfect for kids of all ages, this Star Wars Record Tote (made in 1982) holds around 25 45s and is surprisingly durable. I keep my Read-Along records in this guy, but certainly plan on toting him around on picnics when I find my portable player. Also, if you ever hear anyone pronounce “totally” as “totes,” smack them in the head. Smack them in the head and do it hard… hurt your hand hard, you dig? 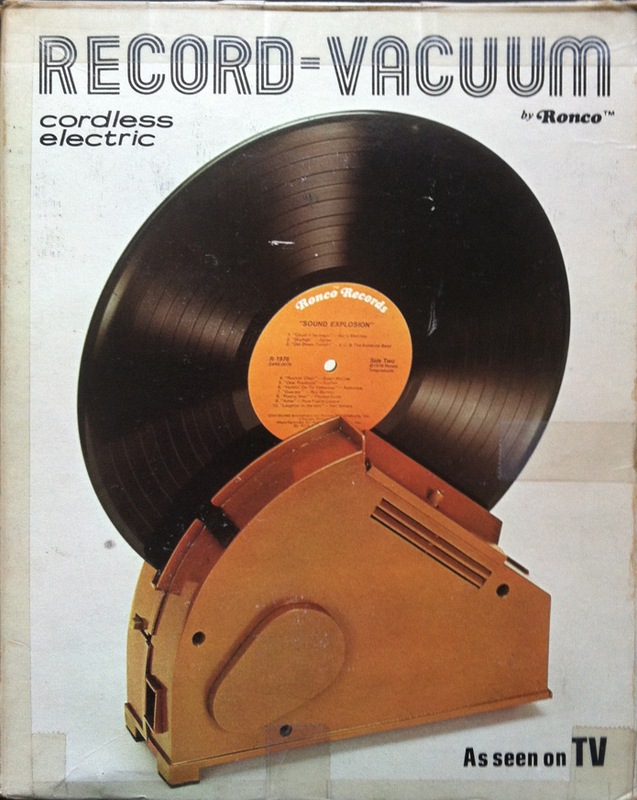 This 1976 “Record-Vacuum” by Ronco™ is hardly a vacuum. It’s basically a record holder with a wheel that spins the record against 2 foam brushes. This may have been the talk of the town back in ol’ ’76, but now it’s virtually just a Record Dirtier (As seen on TV). I guess after 37 years the brushes may need to be changed out. Not sure if Ronco™ is still manufacturing those. 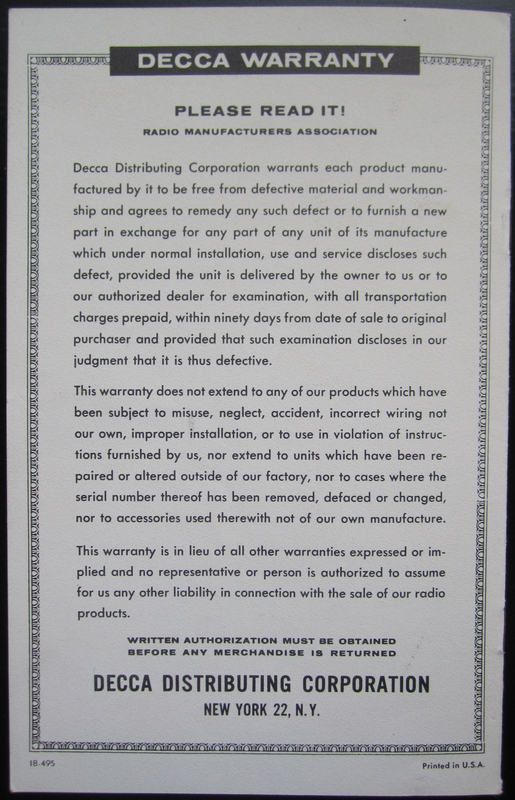 The history of Ronco™ can be found here. Surprisingly, the damn thing still turns on! I basically keep it around as a conversation piece, but sadly, those conversations are quite short (much like this post). 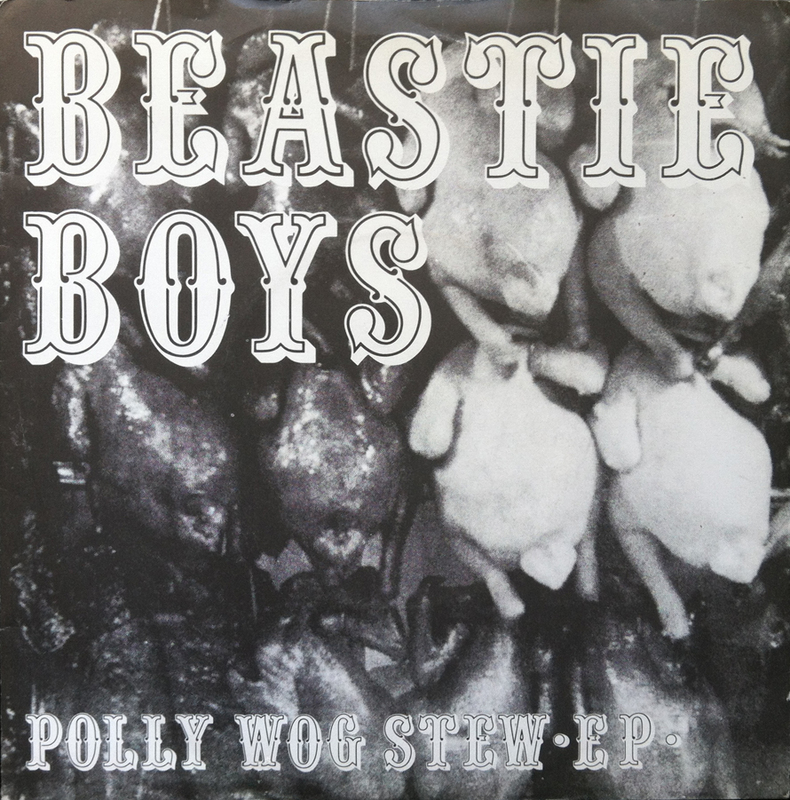 There was Polly Wog Stew. Released on November 20th, 1982 on NYC’s Rat Cage Records. Listen here. Phantom of the Opera meets the Wild West in this opening track to Fever Tree’s debut album. Vocalist Dennis Keller kicks in with his chain-smoked-laden-raspy-gnarls-of-enthusiasm as the rest of this hipped out mob feverishly (see what I did there?) jams along in the background. (As with most of these write-ups, I’m listening to the album as I write.) This album is beginning to show signs of being really far out, brother! 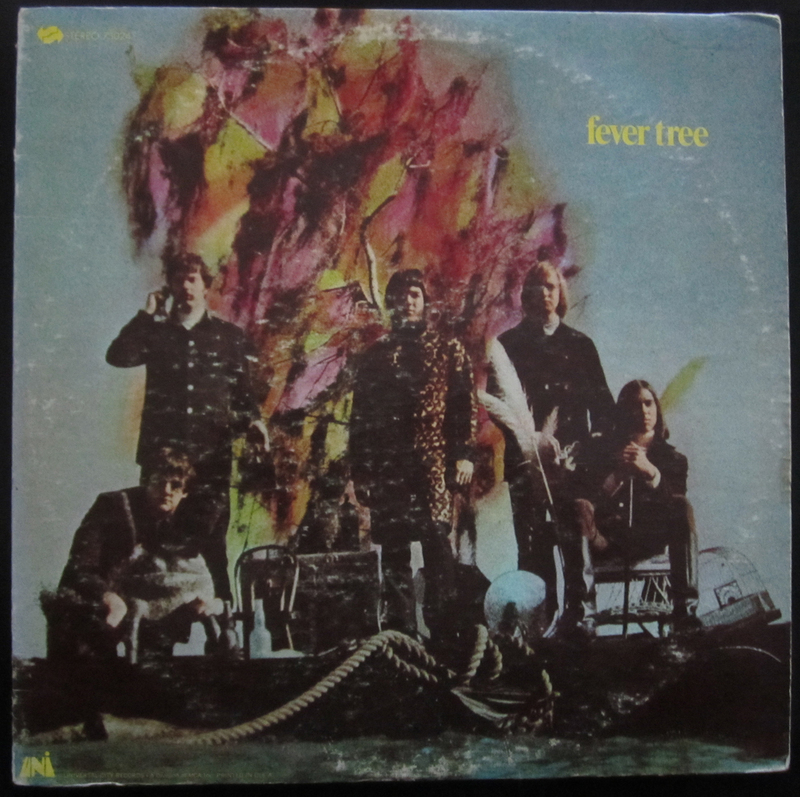 Fever Tree’s brand of late 60’s psychedelia peaked at only 156 on the Billboard 200 Chart. Not difficult to imagine as 1968 brought us The Kinks are the Village Green Preservation Society and what is now known as The White Album, to name only a few. 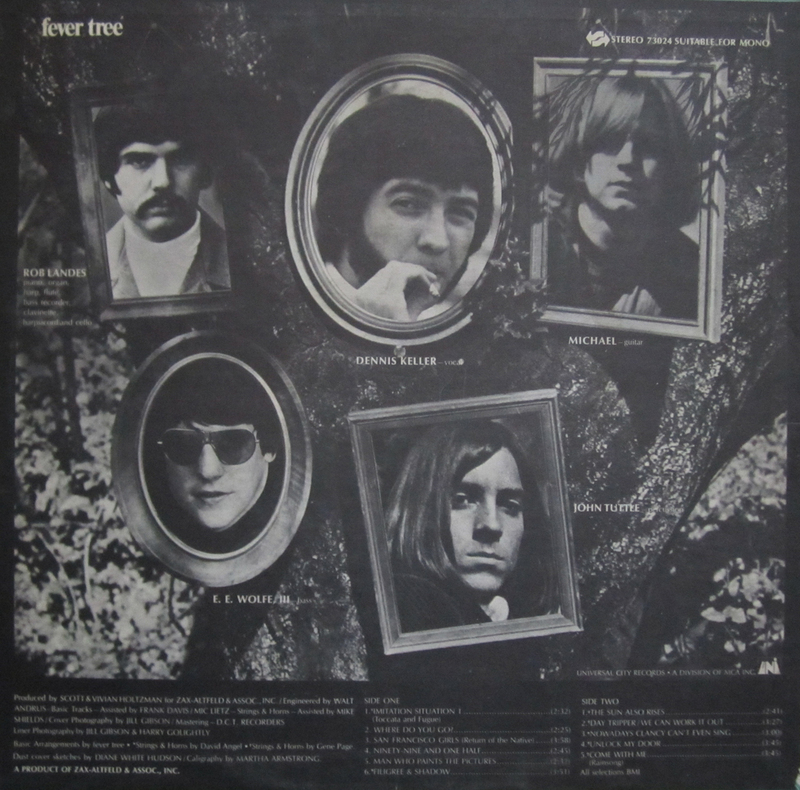 Although subsequent albums provided higher charting numbers, Fever Tree’s only single came from this album; (Track 3’s) San Francisco Girls (Return of the Native). Sitting in my office smothered by the year 2013 and all that has preceded it, I imagine a parallel between listening to this album now, and a Texas band in 1968 singing about long legs in the San Francisco bay. “Those San Francisco girls with their San Francisco ways.” Ok. No one ever sang a song about the pretty girls in Camden, NJ; at least not in 1968, and certainly not on Universal City Records. This album jams, man! Prime rhythms with snake-like guitar solos accompanied by a sprinkle of organ for good measure, all under a forceful bed of scratchy lyrics. For me, however, the album really picks up on Track 5’s, Man Who Paints the Pictures. Like a locomotive overtaken by banditos and raging down the rails through open fields of flower potted children and face painting stereotypes, Man Who Paints the Pictures finds its abrupt end with the start of Filigree & Shadow (which plays like a song that could accompany a Shakespearean play at a Tech College in rural Wisconsin). It’s a shame William Shatner couldn’t have covered this track on his groundbreaking, The Transformed Man LP. It would have fit in perfectly. Side 1 has its moments, and Man Who Paints the Pictures is its peak. I bet these guys got laid a lot. Look at those chops! Being thicker than a $5 malt, I had no idea that the Fever tree was the name of an actual tree. The acacia xanthophloea to be exact, and apparently photosynthesis takes place in the tree’s bark, which supposedly is pretty rare. So, there you go. No need to attend your Dendrology class today (courtesy of The Prudent Groove). 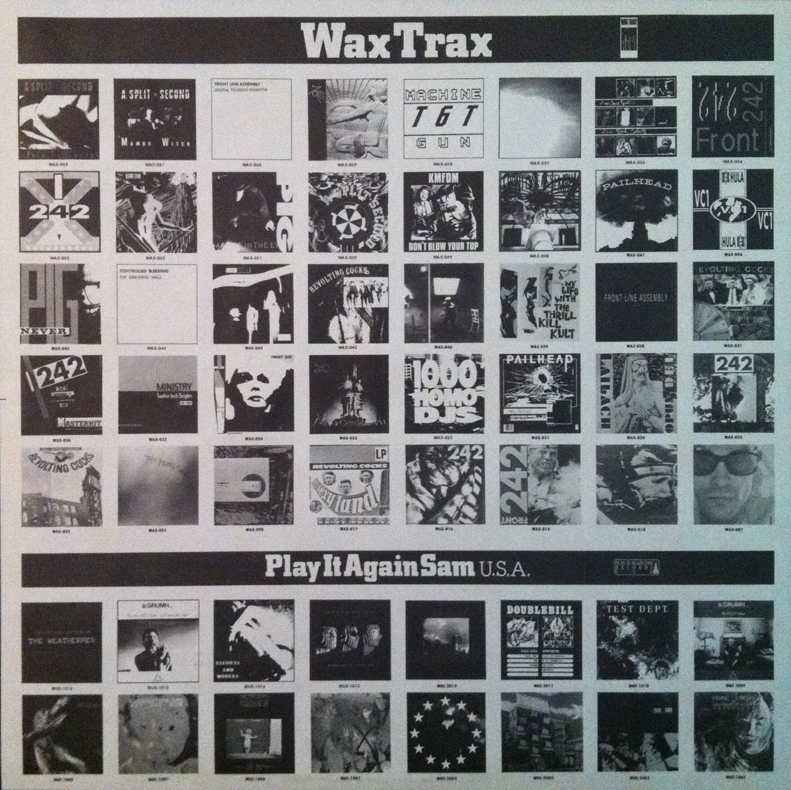 Side 2 offers more of the same “good time Charlie” music. Like a soothing blanket on a brisk fall evening, the Fever Tree provides uplifting lyrics and whimsical melodies on The Sun Also Rises. Although that statement may be painfully obvious, its simplicity, however overlooked, provides a sense of comfort and optimism for what each new day can bring. It’s all about the love, man. You dig? The Fever Tree try their hand at some Lennon / McCartney material on Day Tripper / We Can Work It Out. Nothing groundbreaking here, but it’s always interesting to hear a familiar song through a new perspective. The majority of the second side is much more subdued in comparison to the jam-heavy first side. And that’s fine, it just creates a distinctive separation between the two sides. Perhaps this is done by design. If you’re in the mood to jam, side A is your friend. If you’re in the mood to go all the way, side B may just put her in the mood. Overall, Fever Tree’s debut album provides over 34 minutes that capture a specific state of (reality deluded) mind; a sense of what I can only imagine as being daydreamy-Utopia towards what the potential future could bring. 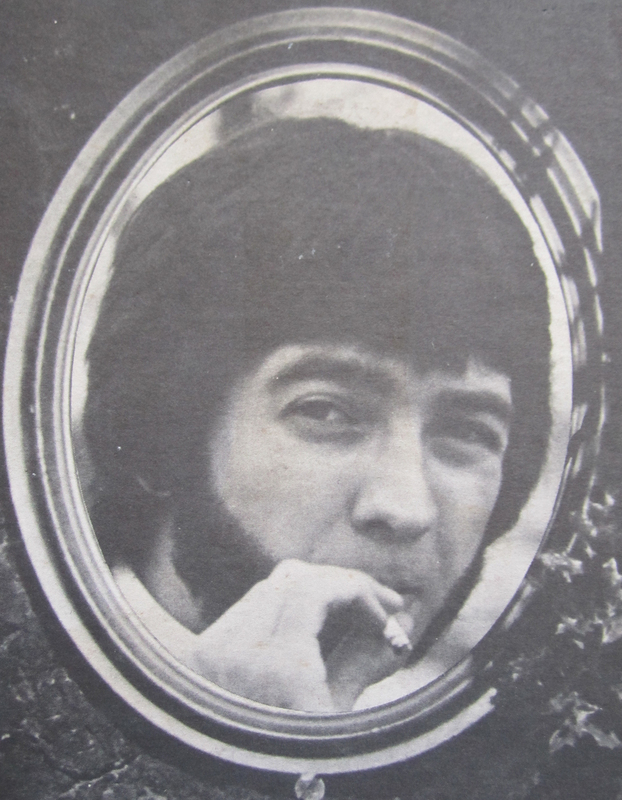 Unfortunately for Fever Tree and the rest of the hip cats and chicks in 1968, that time would prove to be short lived. But thankfully, bands like Fever Tree, with their obscure releases, can take us to a time we will never know, and leave us longing for another trip back. Do you own records? Do you use them for flatware when all your dishes are dirty, then wonder why your favorite Yes song constantly skips? Are you lazy and order your kids to flip to the B-side of Moe Bandy’s Greatest Hits just after they’ve housed an entire box of Klondike Bars? Are you just not too fond of common sense? If you answer “yes” to any of these, you’re EXACTLY like me and are in desperate need of an easy to follow, step-by-step guide to help you best manage the quality of your record collection. Thankfully, Mercury Records is there for us nitwits in our record neglecting times of need. You buy a record because you like it. Each time you add a record to your collection, you’re building up your personal library of musical favorites. Here’s how to make sure each record you own gives you maximum pleasure each time you play it. 1. Avoid getting fingerprints or smudges on the playing surface. 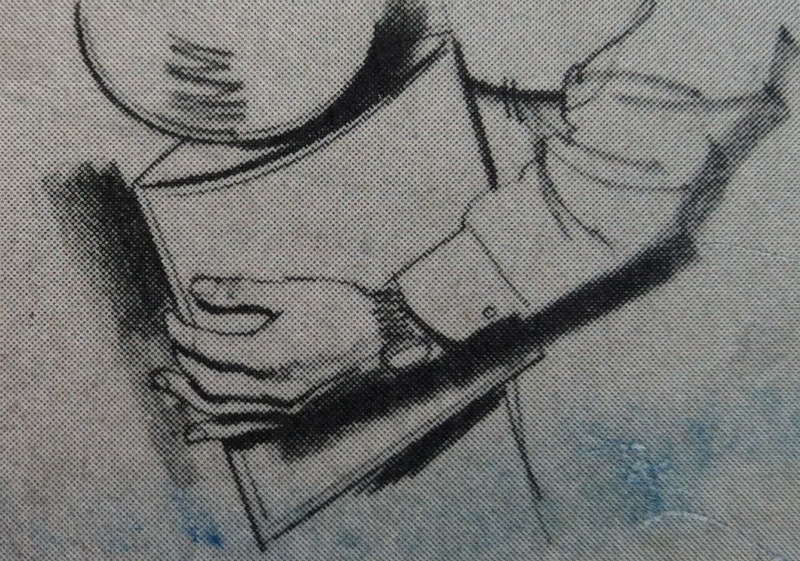 Handle the record by its edges, or by one edge and the center label. 2. 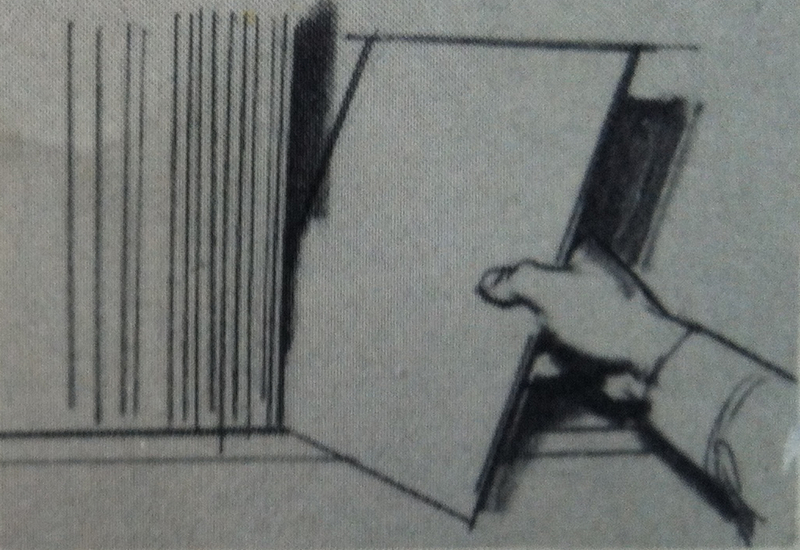 Hold the record jacket against you and buckle it when removing or replacing records. 3. 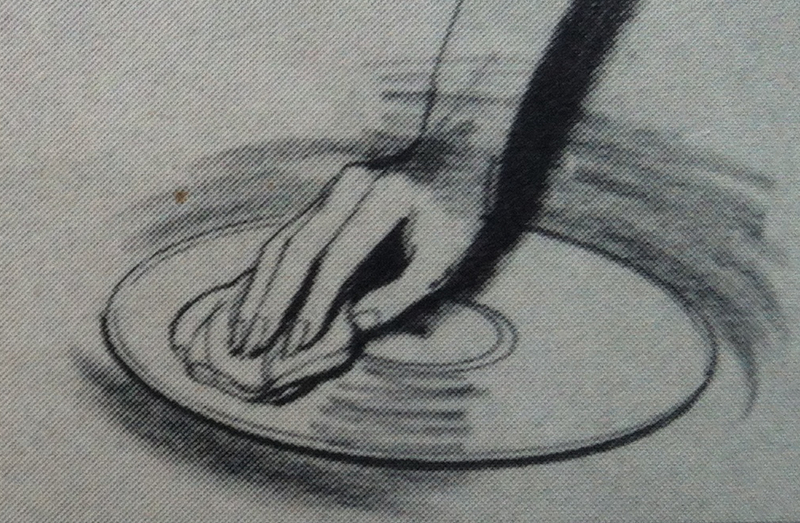 Remove surface dust before playing records. 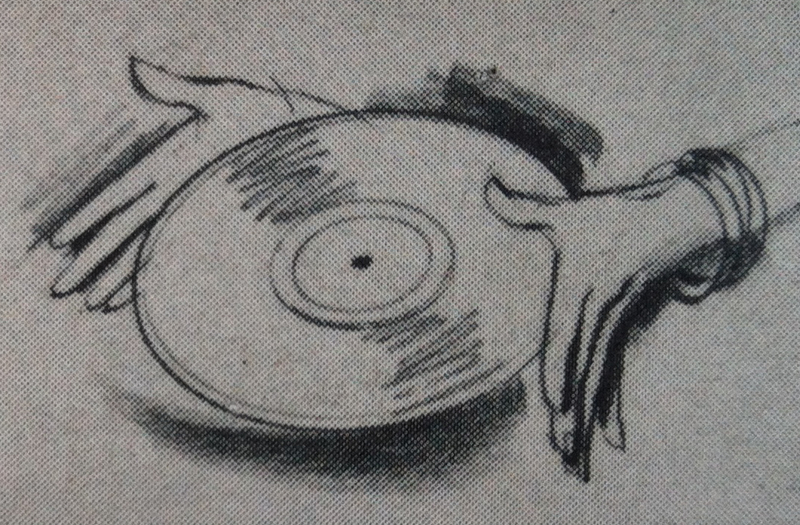 Do this by gently wiping the record with a slightly damp soft cloth or a specially treated record cloth available at your record dealer. 4. 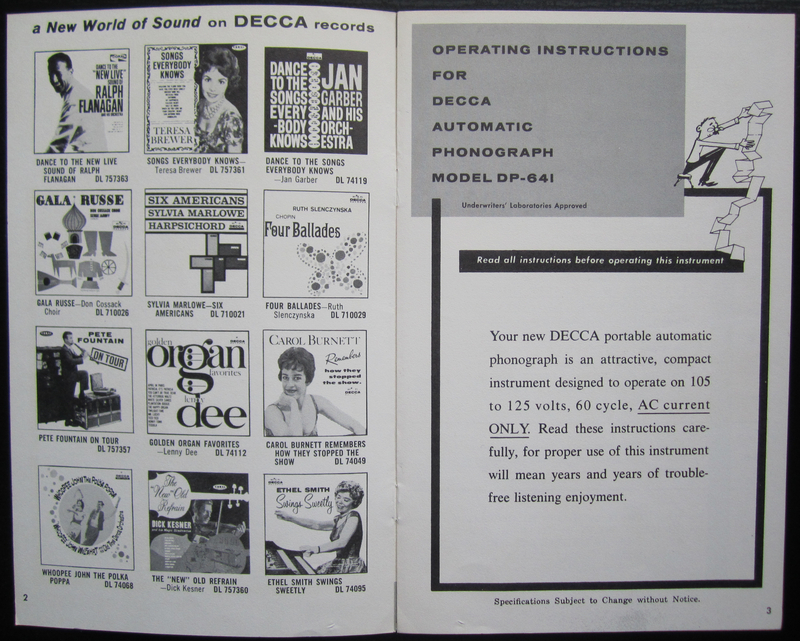 Store record albums upright as you would books. Single records should be kept in a rack but may be staked or stored vertically with your albums. This playful little selection sounds exactly like one would imagine by the parrot-laden cover and a title that is about as on-the-nose as could be humanly conceived. 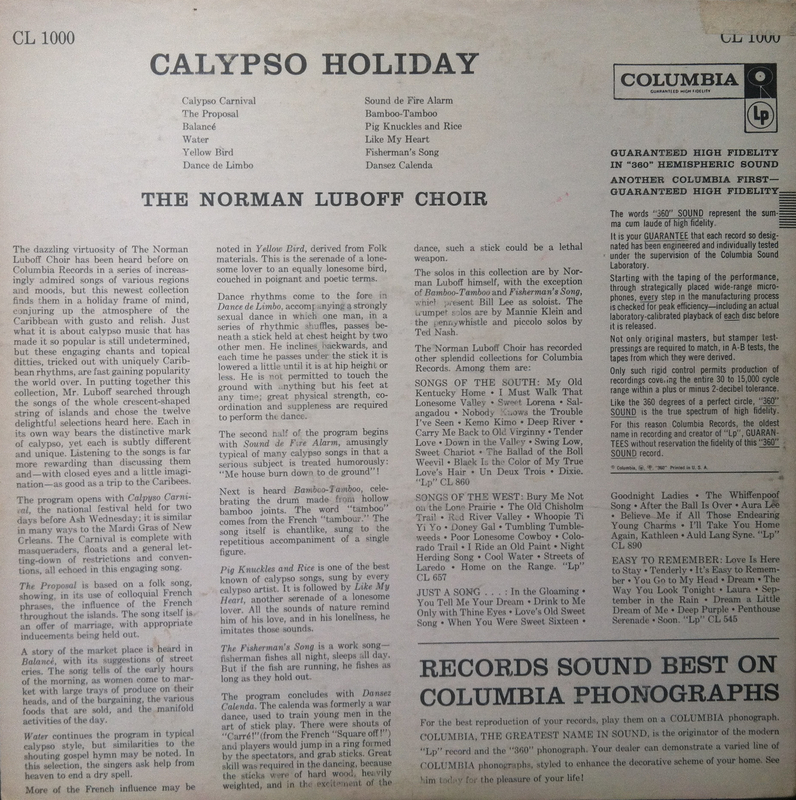 Throwaway titles for this album could have been: Riding the Coattails of the Rising Star, Harry Belafonte and His Successful Calypso Sound and This is Calypso Music, You Narrow-Minded Yankee. This is an exceptionally fun album! The singers, both male and female HAD to be sore with grinning stretch marks from the making of this album. It’s good-time music. Plain and simple. Did your dog just knock over his water dish for the 17th time during the last commercial break of Gentle Ben? This album will help cheer you up. Did you just find out that your spouse has been secretly cheating on you with your younger sibling and that the raised papules on your skin sustained while swimming in that lake in early June may in fact be Swimmer’s Itch? Calypso Holiday will free you from this and seemingly ANY First World trouble. So, Wikipedia tells me that, ahem, “Calypso is a style of Afro-Caribbean music that originated in Trinidad and Tobago from African and European roots.” Being neither African nor European, I proceed to Google “Trinidad and Tobago. 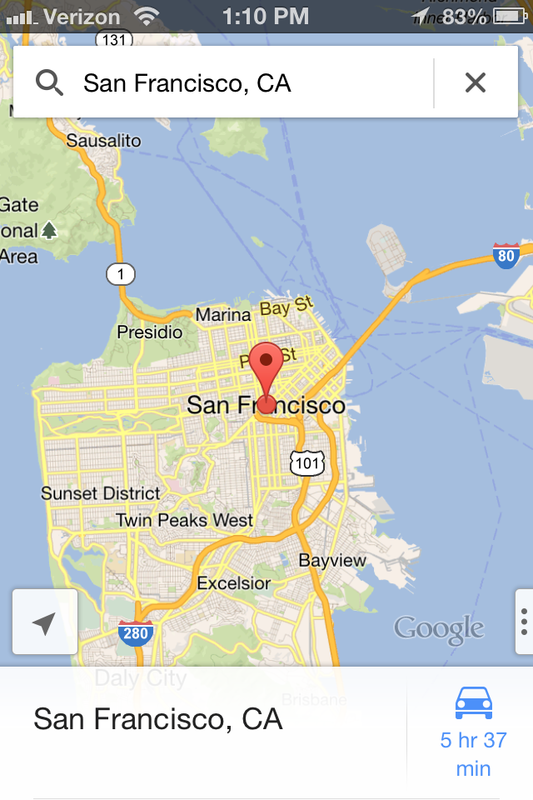 “ Well, Oxnard California this is not! The women are beautiful (and wearing next to nothing), and that has GOT to be some of the bluest water I’ve ever seen (Probably Photoshopped). I’ve never had any sizable itch to travel south of San Diego, but a Port of Spain vacation has just made my bucket list. The first track on side 2, Sound de Fire Alarm begins an awful lot like Belafonte’s Jump in the Line (Shake Senora). I’m going to be thinking of this song while the “several-times-daily” fire trucks roll by my window to the rescue of some poor cat stranded up in a tree. Do cats still climb trees on LA’s west side? 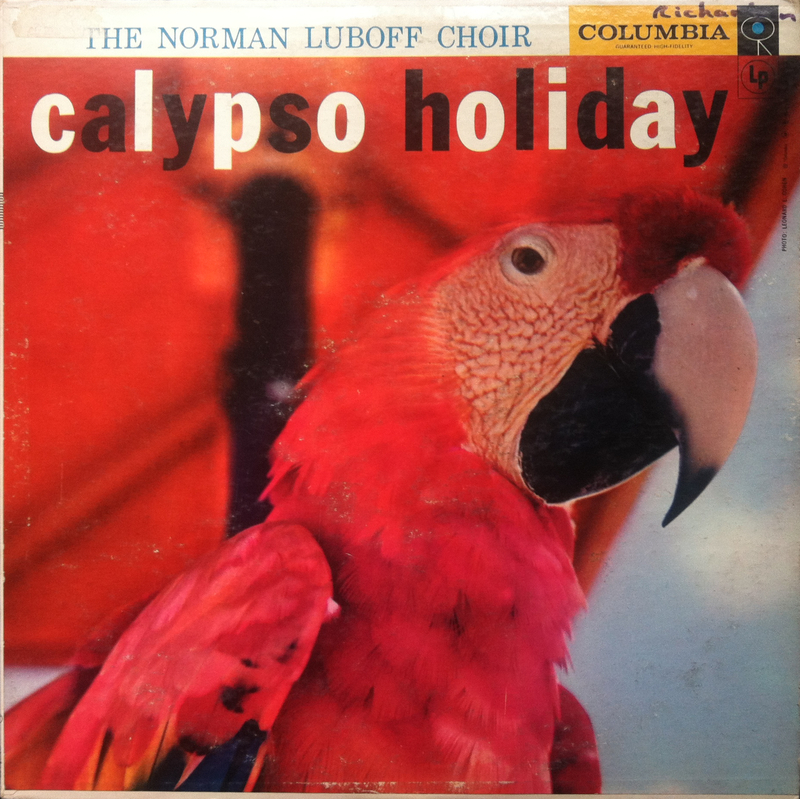 Columbia Records put out this release in 1957, just 1 year after RCA’s release of Belafonte’s appropriately, and also on-the-nose album titled simply, Calypso. That album, having been only Belafonte’s 3rd, went on to sell over a million copies and spent 99 weeks on the U.S. Billboard charts. So, Columbia Records, being nether based in Columbia NOR, seemingly, having a creative bone in their corporate skeleton, decided to cash in on Mr. Belafonte’s raging success. As I’d mentioned, Belafonte is the only other Calypso artist I know, but I can promise that you’ll only read his name 1 more time during this write-up. Belafonte. Well, now I feel bad, having ended such an uplifting album on a morose disposition. The inevitable Yin to the Calypso Yang, I guess. 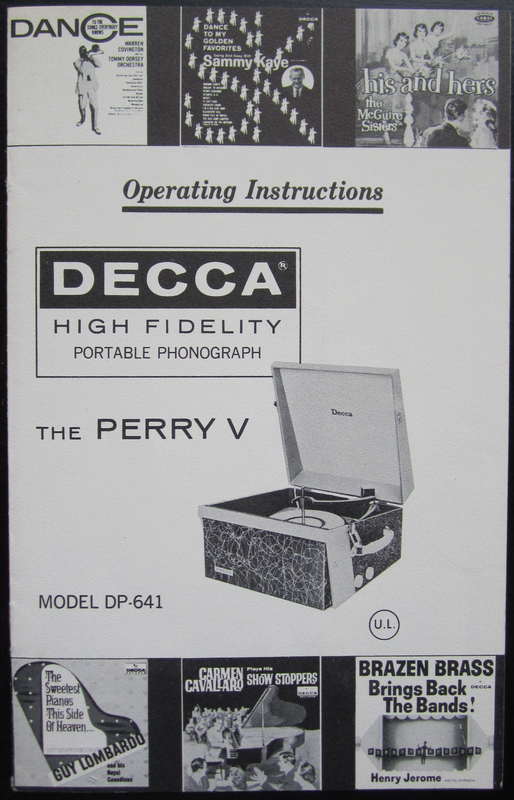 Quickly, the back cover suggests “Records sound best on Columbia phonographs.” So, remember that the next time you’re shopping for your next hi-fi home stereo system. Or don’t. I won’t know. 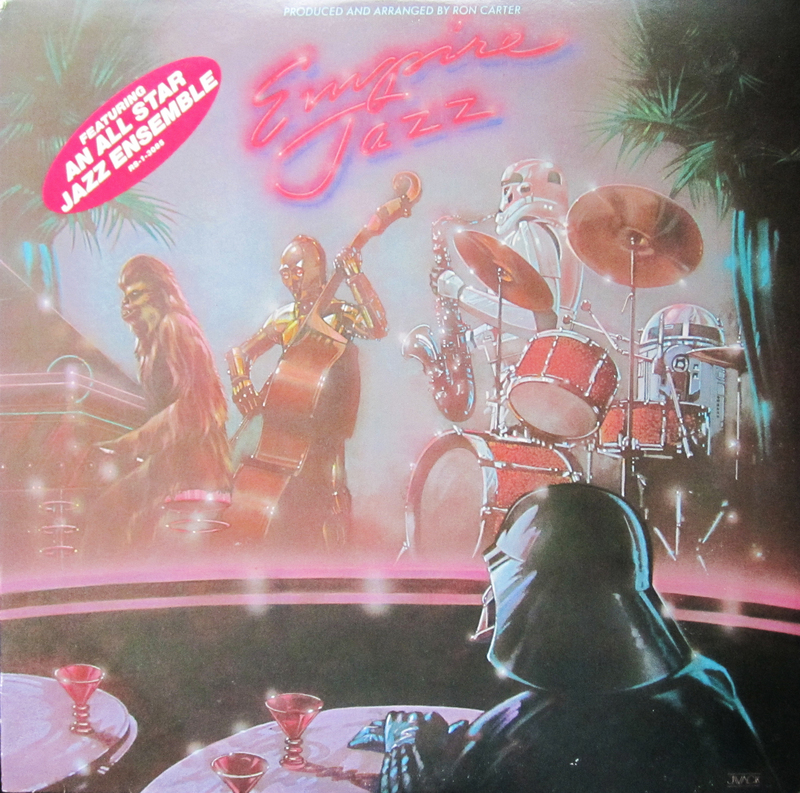 The Galactic Empire, and all its personnel, get the dive-bar treatment in this junk induced, vodka-and-coke-spilling, dank, eye-burning, smoke-filled classic for the casual 1980 Contemporary Jazz fan in all of us. The very phrase “Contemporary Jazz” still freaks me out. While listening to this record, I imagine myself sitting at Croce’s restaurant in San Diego, drinking a blue milk cocktail (a DOUBLE, why not?) while trying to make casual conversation with the person next to me, who is too busy scanning the room for someone more interesting to talk with. Very put together, and a bit too structured for my taste, Ron Carter and his (at that time) modern version of Figrin D’an and the Modal Nodes use this album more as a vehicle to display their various talents (of which this album has many), rather than a stage in which to proclaim their love for Star Wars themed music. 90% straight-edge Contemporary Jazz and 10% Star Wars, Empire Jazz lacks the campy, not-taking-itself-too-seriously, classic lounge vibe that the Evil Genius Orchestra delivered in 1999’s Cocktails in the Cantina (AllMusic.com Review). It’s Contemporary Jazz all right, but this album misses the mark set by Meco in his 1977 classic, Star Wars and Other Galactic Funk; An album I misguidedly attributed Empire Jazz to mirror. 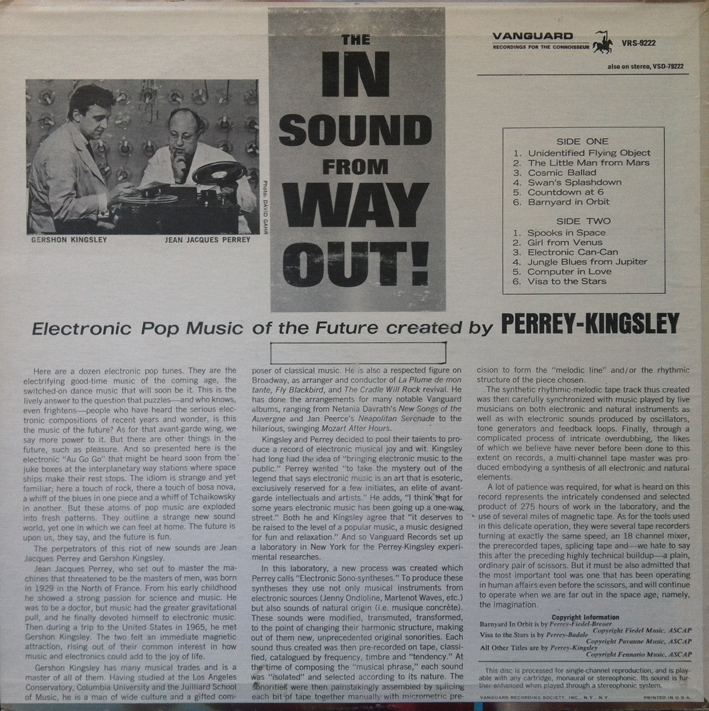 RSO (Robert Stigwood Organisation) released this album in an attempt to appeal to the adult Star Wars fan, or so I gather. Empire Jazz, also known as RS-1-3085 is “also available in 8 track 8T-1-3085 and cassette CT-1-3085.” Too bad they couldn’t have worked TK-421 into their cataloging system, which would have been fun… a bit more fun than this album, I’m afraid. The cover is, quite simply put, absolutely hilarious. It depicts Chewbacca doing his Thelonious Monk impersonation on the keys; C-3P0 working his well oiled, droid digits on the upright; R2-D2 using his electronic tentacles on the skins, which I buy, by the way; (I imagine R2 could rival Buddy Rich, if he’d ever lower himself to a challenge… R2, that is). 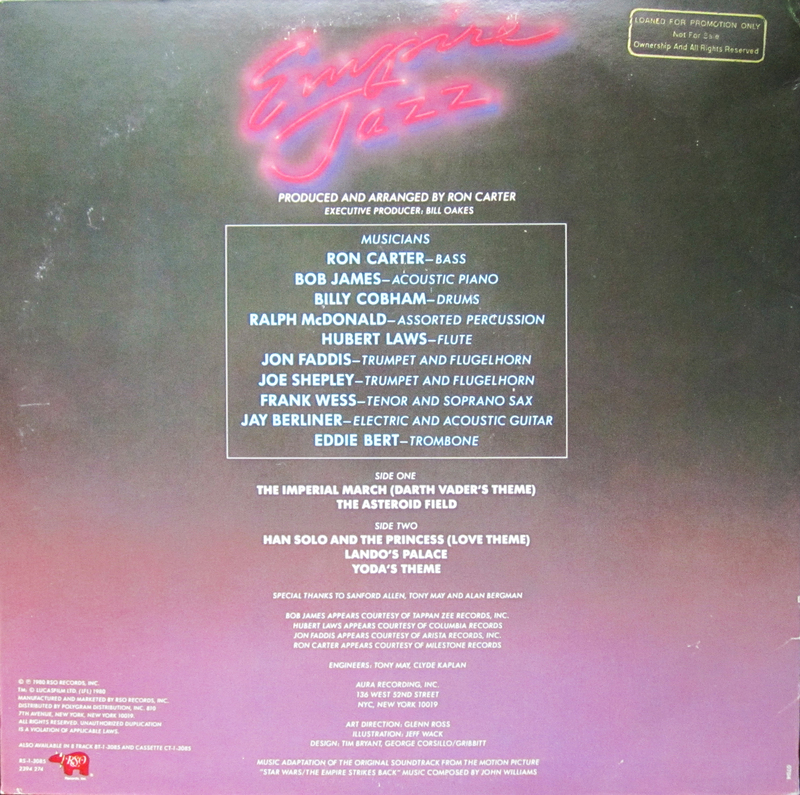 And okay, I understand the idea of incorporating the “Empire” on the cover of an album called Empire Jazz, but on sax is a Stormtrooper… not too outlandish a notion, but I’d imagine it to be difficult playing a reed instrument WHILE WEARING A HELMET! And if that isn’t enough, the Sith Lord himself, Darth freakin’ Vader sits at an otherwise empty table with hands crossed, seemingly enthralled that a Wookiee had the patience to learn to play the piano. Now, don’t get me wrong, Ronald Levin Carter has got talent. I mean, the man played with Miles Davis for crying out loud. It’s a finely executed album, just not exactly as kitschy as the cover suggests. Current market value (as I type this) ranges from $2.94 in VG condition to $10.00 in NM condition (For Sale Here). If you dig the Contemporary Jazz thing, consider this album. If you’re looking for Meco 2.0, you’re going to be disappointed. 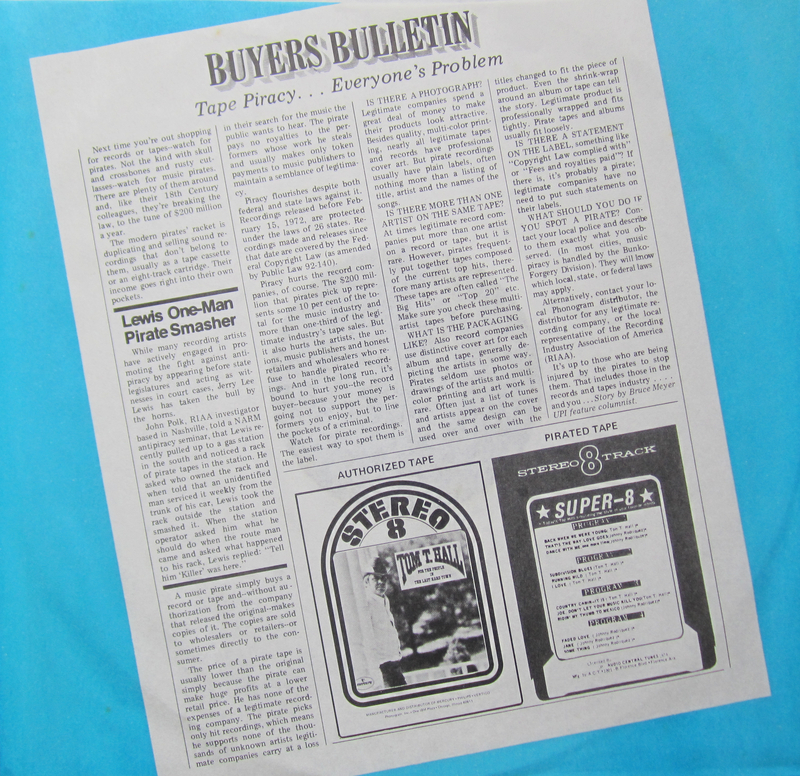 I found this sleeve insert hiding inside a 1976 Mercury Records release of a Statler Brothers album. The story strives to inform the record owner of the hundreds of millions of dollars lost to 8-Track pirates. Bruce Meyer, who was apparently a UPI feature columnist, writes the story that still seems relevant some nearly four decades later. Jerry Lee Lewis makes a cameo. Next time you’re out shopping for records or tape—watch for pirates. Not the kind with skull and crossbones and rusty cutlasses—watch for music pirates. There are plenty of them around and, like their 18th Century colleagues, they’re breaking the law, to the tune of $200 million a year. 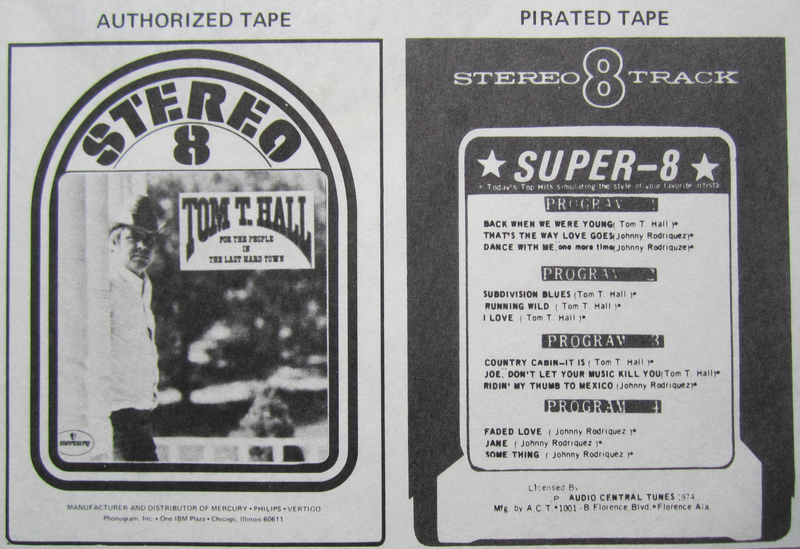 The modern pirates’ racket is duplicating and selling sound recordings that don’t belong to them, usually as a tape cassette or an eight-track cartridge. Their income goes right into their own pockets. While many recording artists have actively engaged in promoting the fight against antipiracy by appearing before state legislatures and acting as witnesses in court cases, Jerry Lee Lewis has taken the bull by the horns. A music pirate simply buys a record or tape and—without authorization from the company that released the original—makes copies of it. The copies are sold to wholesalers or retailers—or sometimes directly to the consumer. The price of a pirate tape is usually lower than the original simply because the pirate can make huge profits at a lower retail price. He has none of the expenses of a legitimate recording company. The pirate picks only hit recordings, which means he supports none of the thousands of unknown artists legitimate companies carry at a loss in their search for the music the public wants to hear. The pirate pays no royalties to the performers whose work he steals and usually makes only token payments to music publishers to maintain a semblance of legitimacy. Piracy flourished despite both federal and state laws against it. Recordings released before February 15, 1972, are protected under the laws of 26 states. Recordings made and releases since that date are covered by the Federal Copyright Law (as amended by Public Law 92-140). Piracy hurts the record companies, of course. The $200 million that pirates pick up represents some 10 per cent of the total for the music industry and more than one-third of the legitimate industry’s tape sales. But it also hurts the artists, the unions, music publishers and honest retailers and wholesalers who refuse to handle pirated recordings. And in the long run, it’s bound to hurt you—the record buyer—because your money is going not to support the performers you enjoy, but to line the pockets of a criminal. Watch for pirate recordings. The easiest way to spot them is the label. Legitimate companies spend a great deal of money to make their products look attractive. Besides quality, multi-color printing, nearly all legitimate tapes and records have professional cover art. But pirate recordings usually have plain labels, often nothing more than a listing of title, artist and the names of the songs. IS THERE MORE THAN ONE ARTIST ON THE SAME TAPE? At times legitimate record companies put more than one artist on a record or tape, but it is rare. However, pirates frequently put together tapes composed of the current top hits, therefore many artists are represented. These tapes are often called “The Big Hits” or “Top 20” etc. Make sure you check these multi-artist tapes before purchasing. Also record companies use distinctive cover art for each album and tape, generally depicting the artists in some way. Pirates seldom use photos or drawings of the artists and multicolor printing and art work is rare. 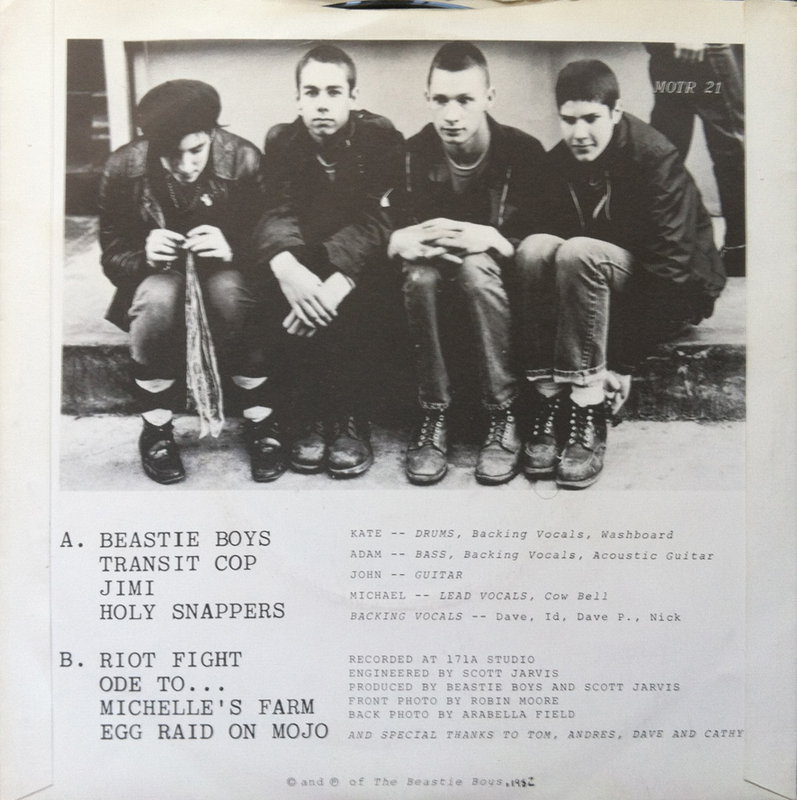 Often just a list of tunes and artists appear on the cover and the same design can be used over and over with the titles changed to fit the piece of product. Even the shrink-wrap around an album or tape can tell the story. Legitimate product is professionally wrapped and fits tightly. Pirate tapes and albums usually fit loosely. IS THERE A STATEMENT ON THE LABEL, something like “Copyright Law complied with” or “Fees and royalties paid”? If there is, it’s probably a pirate; legitimate companies have no need to put such statements on their labels. WHAT SHOULD YOU DO IF YOU SPOT A PIRATE? Contact your local police and describe to them exactly what you observed. (In most cities, music piracy is handles by the Bunko-Forgery Division). They will know which local, state, or federal laws may apply. Alternatively, contact your local Phonogram distributor, the distributor for any legitimate recording company, or the local representative of the Recordings Industry Association of America (RIAA). Story by Bruce Meyer UPI feature columnist. So, Jerry Lee Lewis smashed a rack of 8-Track tapes. Ok, but who had to clean it up?